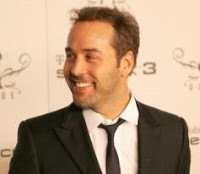 Mercury poisoning was again in the news this past week as actor Jeremy Piven became the focus of a closed-door hearing with the Actors’ Equity Association. He presented his defense against the grievance filed against him in January by the producers of Speed-the-Plow for leaving the production. The New York Times reported that the actor said he had been scared he might die and believed his symptoms of fatigue and loss of mental focus had been due to being poisoned by mercury from sushi. The paper sadly reported he’d even had his mercury fillings removed, fearing for his health. Mercury fears have become as ubiquitous as mercury itself, it seems, and truly frightening people. Many victims are being led to believe that they have mercury poisoning through mercury tests that report “high” levels. A study by researchers from Harvard Medical School recently cautioned consumers about the commercial tests offered at clinics and spas, after they’d found that none of the people labeled as mercury toxic in these lab tests had actual evidence of mercury toxicity. Protecting consumers and careers may begin with a reminder that when we’re being led to feel afraid, that’s our sign our emotions are being manipulated. It’s important to get objective second opinions and never make a health decision based on a single lab test. Don’t let a number scare you!